Boeing 737-800 operated by Southwest Airlines has 175 seats. 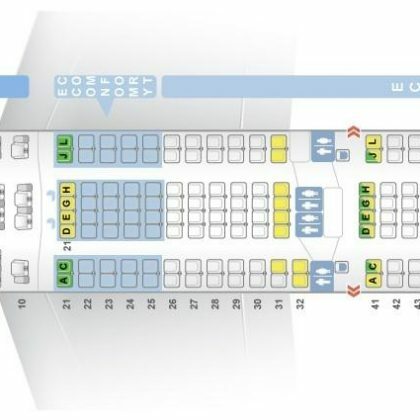 The seats of the first row (1DEF) as well as the seats 2ABC are narrower than other standard seats as the tray tables are built-in the armrests making them immovable. Also, there is no floor storage for these seats during take-off and landing. The seats 2ABC are considered good seats as passengers will feel comfortable here thanks to extra legroom due to the bulkhead position. The seats 9A and 10F are seats with missing windows. Due to the exit row located behind the seats of the 13th row do not recline. Passengers of the seats of 14th row and the seats of the 15th row will take advantage of extra space for their legs but at the same time these seats have limited recline because exit row is located behind. The tray tables of the seats 15BCDE are in the armrests making the armrests immovable and reducing the width of these seats. The best seats on this airplane are the seats of the 16th row as all these seats have extra legroom. 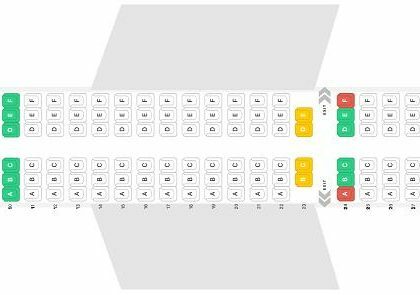 The width of the seats 16A and 16F is reduced as the tray tables are in the armrests because there are no seats in front. The only disadvantage of the seats 29C and 29D is their close location to the lavatories and galley. The seats of the 30th row are considered bad seats as they have limited recline and due to proximity to the galley and lavatories.